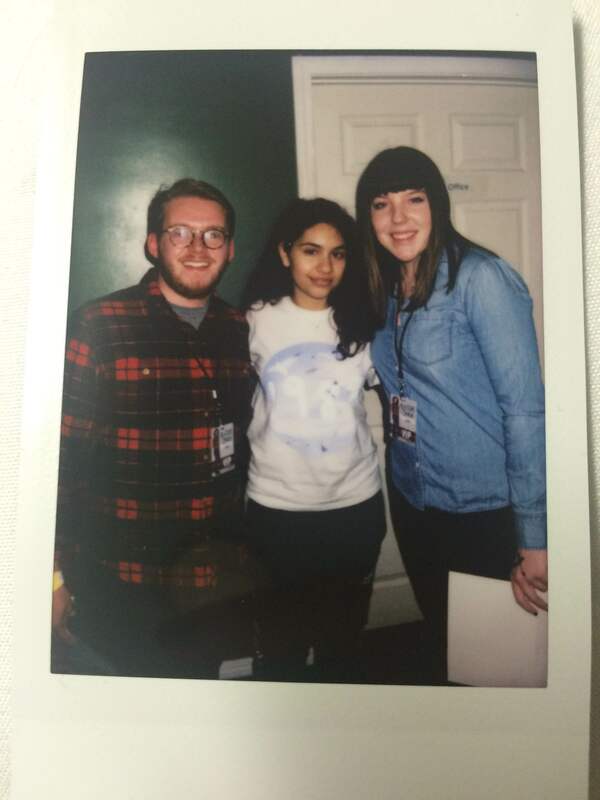 Last night was a full circle moment for me, my girlfriend Laura, and probably not Alessia Cara – but 2 for 3 isn’t bad. Last summer I wrote about how Alessia Cara was primed to be a big star given how amazing her debut single, “Here,” is. For months I was waiting to see if she’d go on tour in support of her debut album, Know-It-All. Thankfully towards the end of 2015 the tour was announced and I quickly snagged VIP tickets. I figured that it would be a fun way to get something a little extra from the show, but I didn’t know how awesome the night was going to be. We got an email from the tour company before the show a few weeks prior that detailed what the VIP package would entail. We were going to show up an hour before the doors would open and get to see an exclusive pre-show performance from Alessia, get some free merchandise, an autograph, and then priority seating at the show. That was very much undersold. Laura and I showed up to the Brighton Music Hall and hung out in the venue as they did sound checks. We then were suddenly whisked away to Alessia’s dressing room and she immediately greeted us upon entry. It was surreal. Before us was a nineteen year old star on the rise, who has shared the stage with Taylor Swift and performed on national television a ton of times, and we small talked with her about the weather. What was impressive, outside of the fact I’m actually slightly taller than Alessia is, which is no given seeing as I’m 5’3″, is how completely normal she is. More so than any celebrity I have ever met Alessia Cara is completely a normal person. Talking to her for the first time felt like talking to a high school acquaintance. Frankly, that’s what draws me to her career. The biggest issue with pop music in 2015 is that over-identified-yet-permanently-valid notion that everything sounds alike. But further, that it all sounds like the same song that was written by Max Martin. That’s because it likely was. Martin is the major force behind all major songs of recent years – look up his career online and you’d be shocked. It’s almost impossible to find an artist that both writes their own music and is their own person. Authenticity is rare. Alessia Cara is authentic. She is a person and not a controlled creation. That’s a huge part of her charm, as is her amazing voice. Getting to hang with the other VIPs and her in that dressing room was especially awesome given that it felt like being with your best friend. When we talked out about songs she sounded genuine beyond comprehension. I made a point of mentioning a short version of this thesis to her. I explained that I am drawn to authentic artists – Fiona Apple, Kanye West, etc. – and she very much is one. I’m happy to watch her become a success because she’s deserving of it. Her normalcy is her career, and it’s refreshing. This all of course was made all the better by the fact she can really sing. The concert was amazing, featuring all of her tracks released to date. The night on the whole was amazing. She’s got a blossoming career and vocal talent that throws her in the realm of Lorde and more. She killed it last night, and couldn’t have been nicer while doing it. She was beyond delightful to both Laura and I, and that only made us bigger fans. If you take anything from this, please let it be the following: Alessia Cara is the kind of person you want to root for. She’s going to become a big pop star for the right reasons. She’s the type of person we need more of in music, and it was nice to catch her before she gets huge.